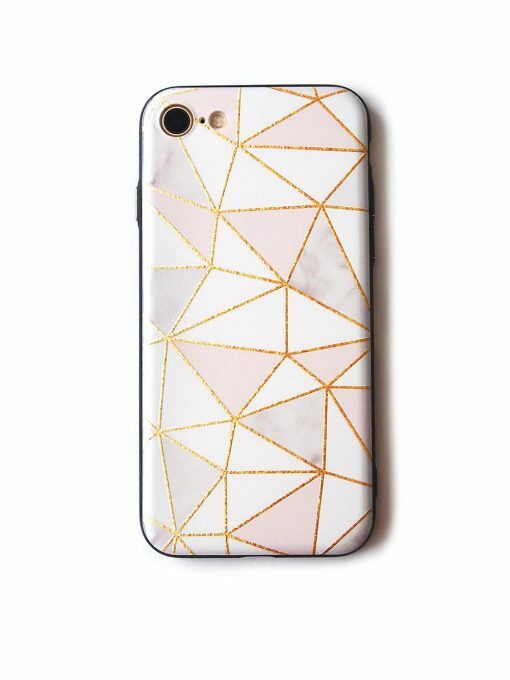 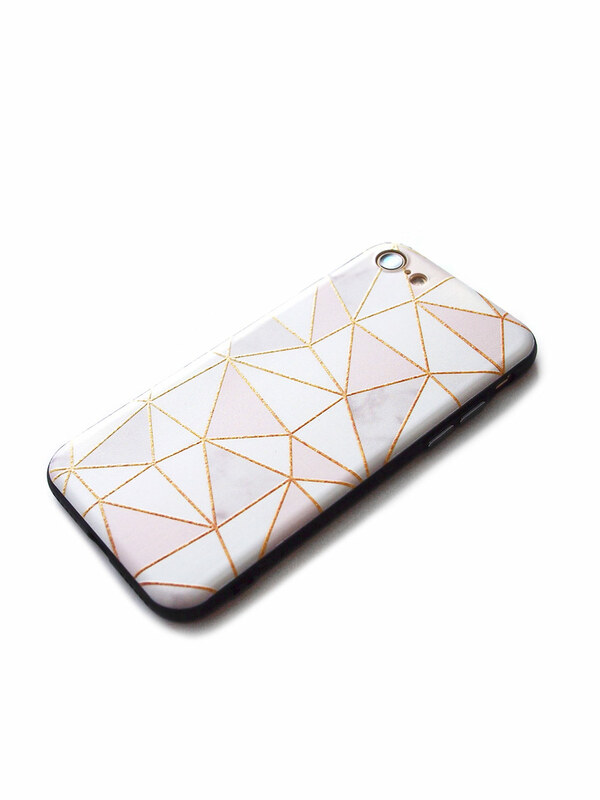 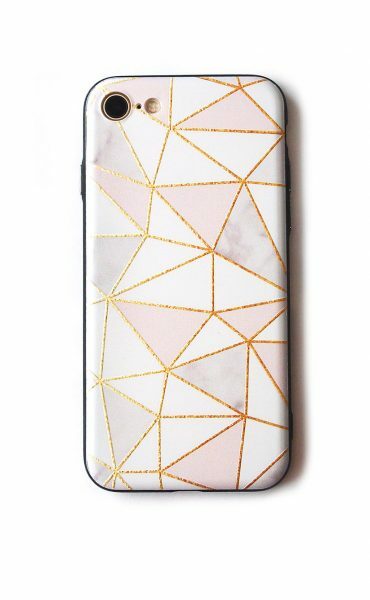 Geometric shapes colored in soft shades of pastel pink and light grey. Yellow lines are slightly embossed/raised for added texture. 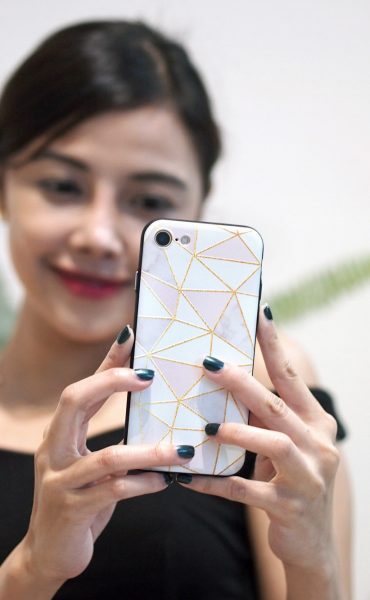 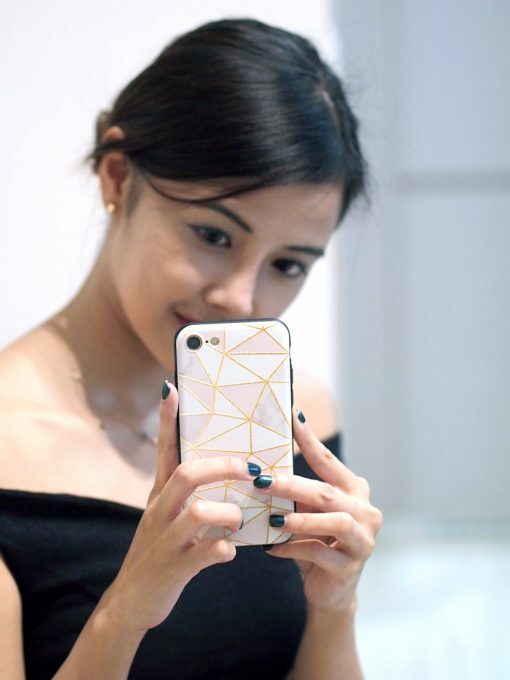 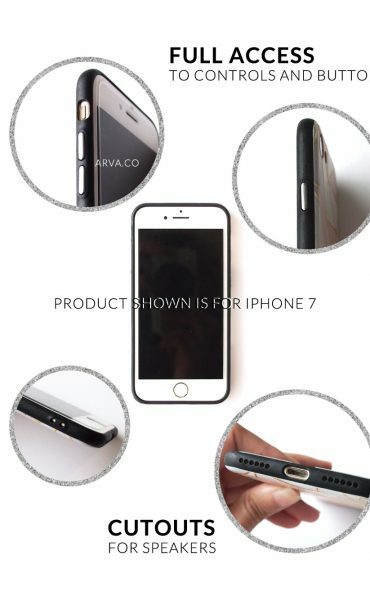 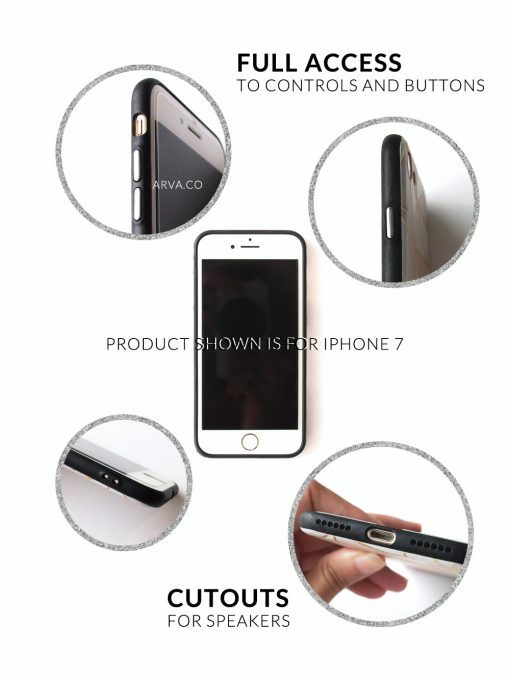 This iPhone case is made from quality silicon plastic, which is quite hard/stiff and only slightly bendable. 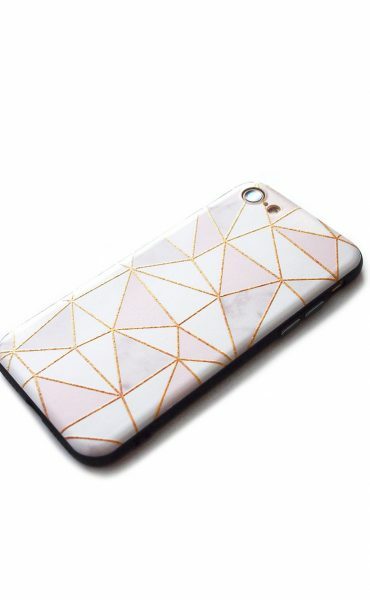 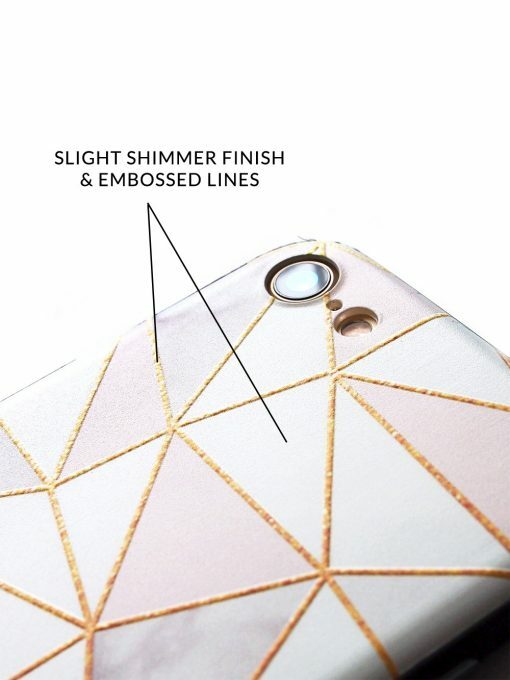 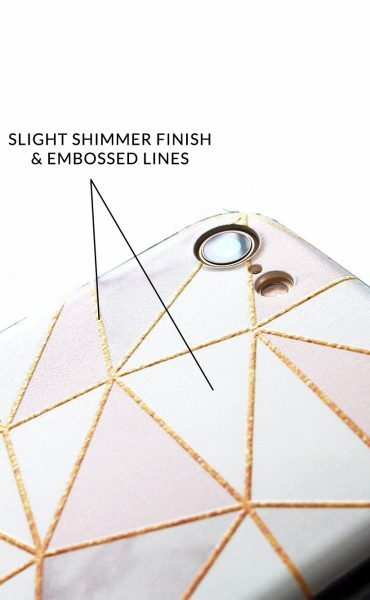 If you opted for laser engraving, your iPhone cover cannot be returned or exchanged.